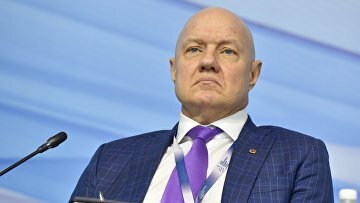 Detention of Crimea’s deputy prime minister Nakhlupin appealed | Russian Legal Information Agency (RAPSI). MOSCOW, October 23 (RAPSI) – Crimea’s deputy prime minister Vitaly Nakhlupin has appealed his detention as part of a corruption case, the press-service of the Basmanny District Court of Moscow has stated. The date for the review of this appeal is yet to be set. Earlier, the court detained the deputy prime minister until December 16. Nakhlupin is charged with taking bribes on an especially large scale. The official himself denied wrongdoing. Crimean leader Sergey Aksenov wrote on his Facebook page earlier that investigation concerned other officials as well. According to the republic’s head, investigative actions were conducted in the committee on road industry and competition policy, highway service and in Crimeagasseti and Krymenergo companies.